Our caravan in Poole looks over the hillside and there is room to park your car next to it. This hilly site overlooks Poole Harbour and has beach access. The facilities and entertainment are excellent and extensive including children’s clubs, indoor toddler play, food outlets including Papa John’s, as well as indoor and outdoor pools. Rockley Watersports (adjacent to the Park) offers sailing, windsurfing, power-boating and sub-aqua tuition. You can pre-book these at extra charges. You can explore the Old Town, Poole Pottery, Bournemouth, picturesque Dorset and the New Forest as well as Brownsea Island, where the first ever Scout Camp took place in 1907 and is easily accessible. 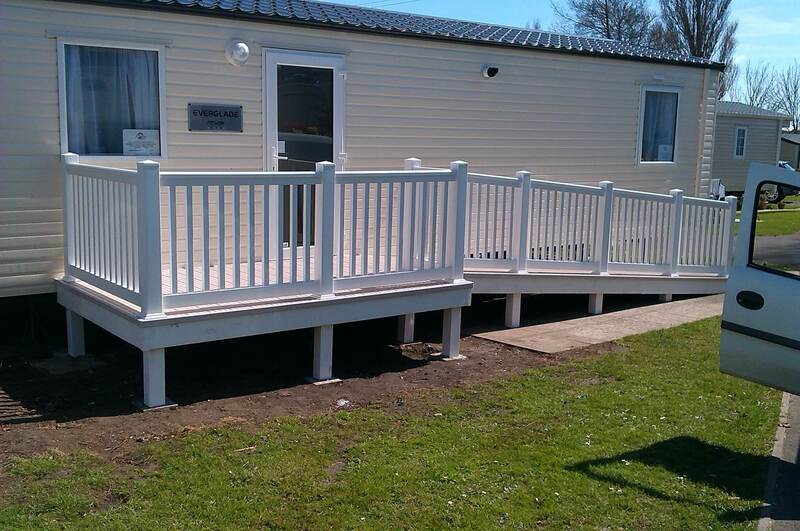 This was a brand new caravan in 2015 and is suitable for wheelchair users. The caravan has two twin bedrooms, one with ceiling pulleys and there is a double pull-out-bed in the lounge area. The bathroom is a wet room. The caravan is double glazed and has central heating throughout as well as a gas fire in the lounge.